We promote public safety and challenge offenders to become responsible, productive citizens through firm, fair, consistent supervision, treatment, and education. We will be at the forefront of community based correction programs by proactively addressing the challenges of diverse clientele, new treatment methodologies, and developing laws. We will support our programs and staff by strengthening our infrastructure, improving efficiency, and continuing development. When we think of corrections, we generally think of prisons and jails. In reality, the greater number of felony offenders (more than 10,000) are in Montana’s communities either supervised by probation and parole officers, or in community corrections facilities. It is the belief of Alternatives that public safety is improved when prison inmates and other offenders are reintroduced to the community through structured programs that involve treatment services, assistance in locating employment, 24-hour a day supervision, and case management. A life of crime often begins at an early age with a relatively insignificant offense. It is the belief of Alternatives, Inc. that the effectiveness of a response to minor offenses may be the difference between a productive life and one that develops into a cycle of criminal behavior. By providing the judicial system with a broad range of alternatives to incarceration, Alternatives, Inc. strives to assure early, effective intervention. Alternatives, Inc.’s Alpha House Reentry Center opened its doors to the first five male clients from the Montana State Prison in 1980. Today the Alpha House, located at 3109 1st Avenue North, offers services to 200 state, federal, and work release clients. The Passages Program, located at 1001 South 27th Street, offers services to female clients. This facility, which opened on January 19, 2007, houses the pre-release center, assessment/ revocation/ sanction center, and inpatient treatment center and has a capacity of 175 bedspaces. 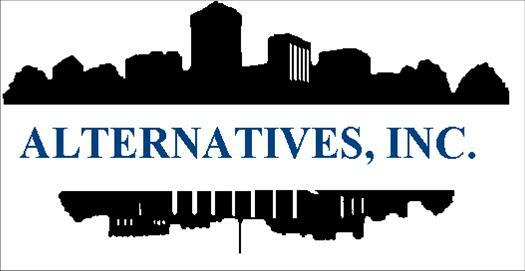 In 1984 Alternatives, Inc. began work with Yellowstone County to offer alternatives to jail placement for indigent offenders and those convicted of misdemeanor offenses. Today the jail alternatives programs offer a wide range of services to over 6,000 clients annually in Yellowstone, Carbon, and Stillwater counties.